How is latex rubber tubing measured? There are 3 critical measurements for each piece of latex rubber tubing: the Inside Diameter (I.D. 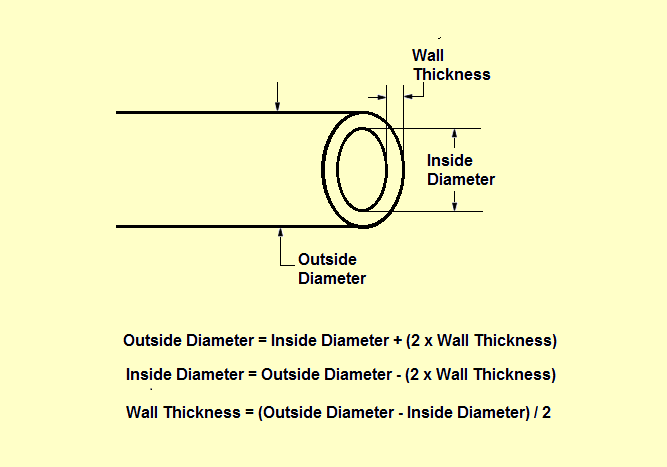 ), the Wall Thickness (W.) and the Outside Diameter (O.D.). Using the chart below, you can see the location of each of these measurements. When we refer to a piece of tubing as 3/16" x 1/16", we are saying that the Inside Diameter is 3/16" and the Wall Thickness is 1/16". Using the calculation for Outside Diameter, this tubing would have an Outside Diameter of 5/16".